Are you looking for professional house cleaners in Sydney’s Eastern Suburbs? Do you find that you’re constantly having to juggle countless schedules at once and simply can’t afford to take the time to run through a thorough and satisfying house clean? Don’t worry, at Simply Maid we understand and we’re here to help. Here at Simply Maid, we’re a bunch of down-to-earth, experienced and highly passionate team of house cleaners. We provide comprehensive home cleaning services to all Sydney’s Eastern Suburbs. If you reside in any of the Eastern Suburbs, then we’re the residential home cleaning team for you. Our team of professional house cleaners provide an array of home cleaning services to ensure your Eastern Suburbs home looks as good as new. From sparkling clean dishes, neatly vacuumed floors and all bedroom sheets made, we make it our personal mission to achieve total perfection with each and every residential clean. book a eastern suburbs service in just 60 seconds! At Simply Maid, we offer complete cleaning services for 1-storey homes, 2-storey homes, granny flats, townhouses, apartments and individual room cleans including the kitchen and bathroom. There’s absolutely nothing that can’t be done when it comes to keeping your home fresh and clean. Making a booking with us is as easy as 1, 2, 3 – literally. We offer a customer-friendly booking system that allows for seamless, fast and effective bookings. From weekly, fortnightly or even monthly cleans, we’re able to tailor towards your busy schedule so you and your family are able to do life without all the headaches of cleaning. Make a booking with us today via our straightforward booking system and you’ll soon discover a whole new side of your home. We’re the Eastern Suburbs’ cleaning professionals. Backed by a diverse team of trusted, skilled and experienced house cleaners, you’re able to rest easy knowing that your home is in safe hands. Simply Maid are fully insured with all our cleaners thoroughly background-checked. We only employ the best in the industry to offer our customers the highest standard of service available in the market. 100% happiness guarantee – if you’re not happy with your clean, we’ll return and reclean your home! When you book with Simply Maid, you simply can’t lose! After years of providing residential home cleaning services, we’ve come to understand that there is simply no other feeling that compares to opening the front-doors and entering a thoroughly cleaned household. This is why our team of home cleaners take immense pride in the quality of each clean we take on. We strive to create an endearing experience for our customers – that is our mission. We provide a cleaning experience no like other to Sydney’s Eastern Suburbs and all nearby regions. 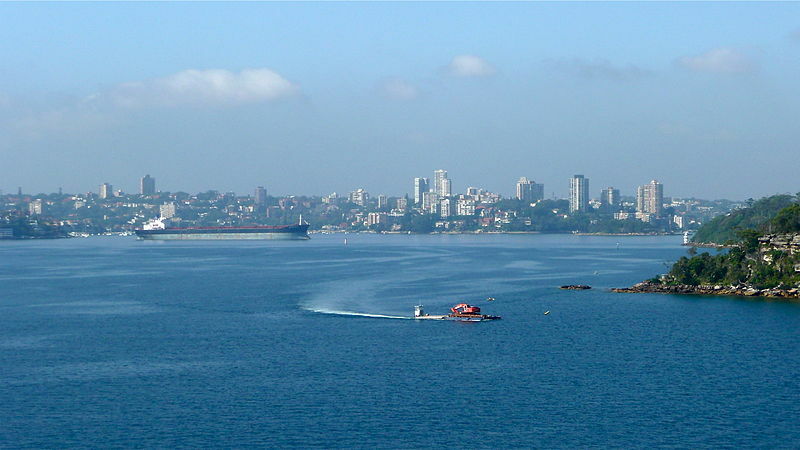 Suburbs we regular service in the Eastern Suburbs include: Bellevue Hill, Bondi, Coogee, Double Bay, Darling Point, Rose Bay, Waverly, Woollahra, Woolloomooloo, Watsons Bay and Vaucluse. Other suburbs we service around Sydney include: Mosman, Gladesville, Waterloo, Hurstville, Northern Beaches, and Chatswood. I love dealing with Simply Maid. The ladies who were sent to clean my home has always been courteous and punctual. I really love the fact that they walk my through my home after the cleaning to ensure I was happy before they left. Their team has been very quick at responding to emails and sms which is very convenient. I Would recommend them to everyone.